I used to make these earring holders with wood blocks I found at Home Depot and left over screen, but they don’t sell the wood blocks anymore. And I could never figure out what to replace the blocks with. 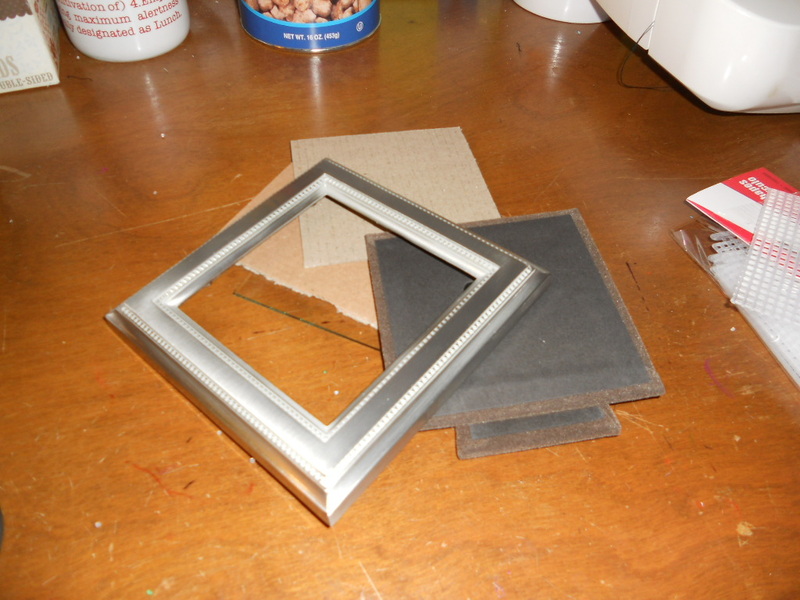 Until I realized that I could replace the screens with those little plastic canvas embroidery things, and replace the blocks with picture frames. Yay! Introducing, DIY on The Tragic Whale! 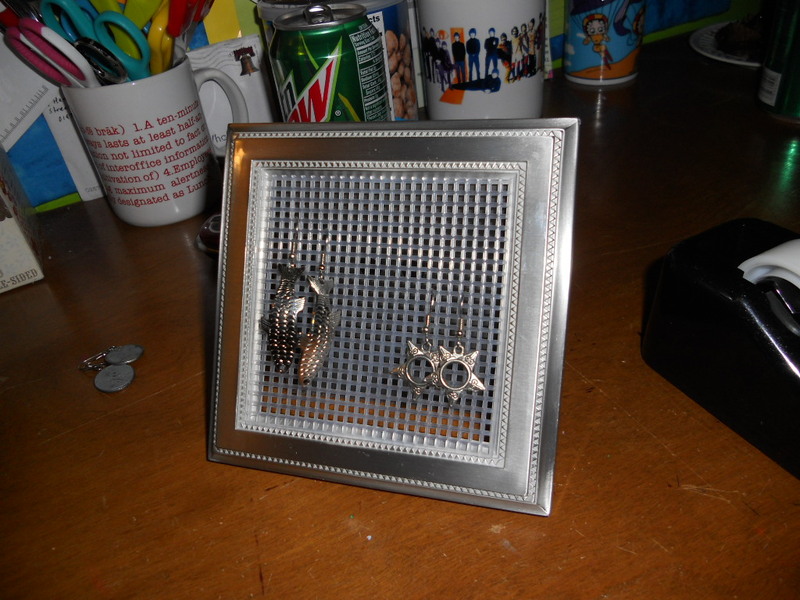 Earring holders. 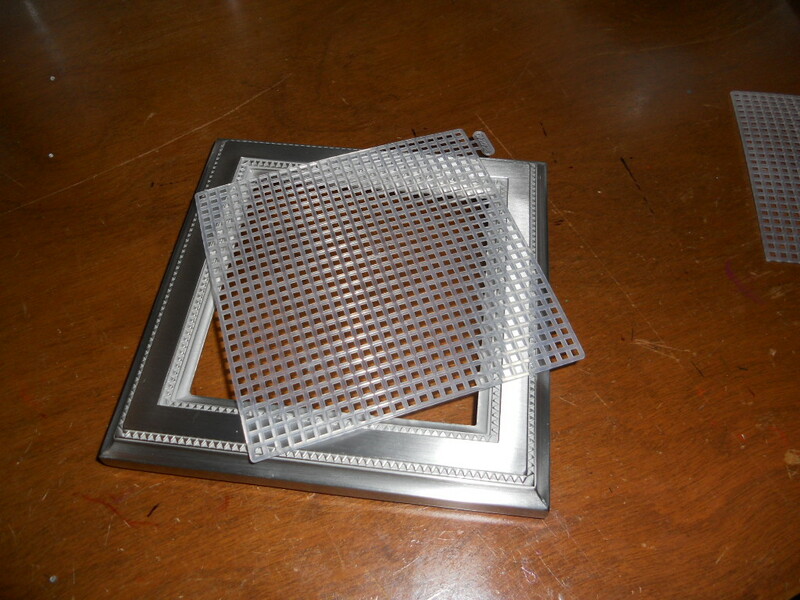 Feel free to take all the pieces out, because you’re only going to need the frame itself and the back part to hold it up. 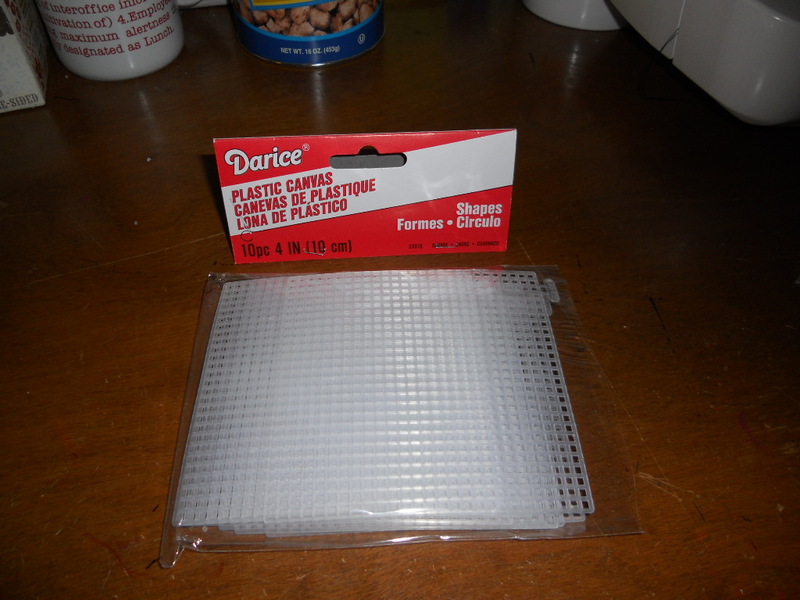 You’ll also need those embroidery squares. I got these at Micheal’s. I would suggest cutting one row off at a time if you aren’t sure how much to take off. 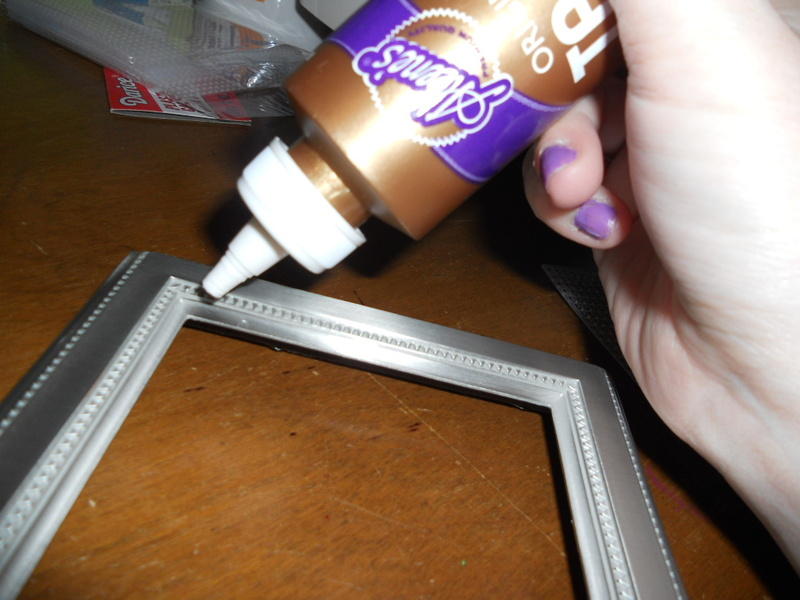 When you have it cut to the right size, line the frame with glue. 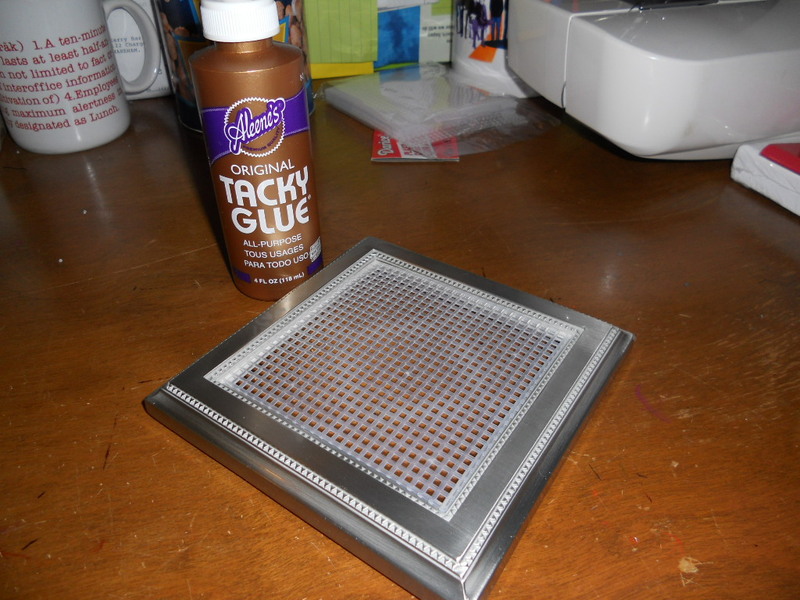 I used tacky glue (but probably should have used super glue or epoxy because the screen fell off later). 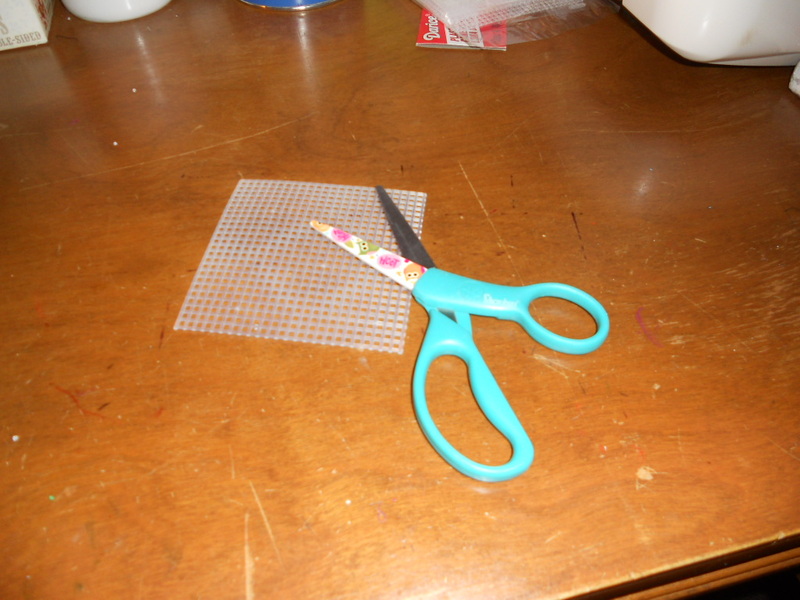 Then stick the plastic grid in place and wait for it to dry. When it’s dry you can attach a hook to the back, or prop the frame back up against it. You don’t want to put the back into place, though. You need to make sure that there’s enough space to fit the earring hooks in so they can hang properly. And you’re done! 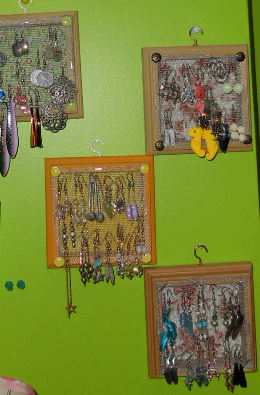 This is a great way to organize all your dangly earrings or can be used as inexpensive holiday gift.